I had the pleasure of interviewing Alana Malone, CEO of Green Dot Labs, Colorado’s premier cannabis cultivation and extraction brand. 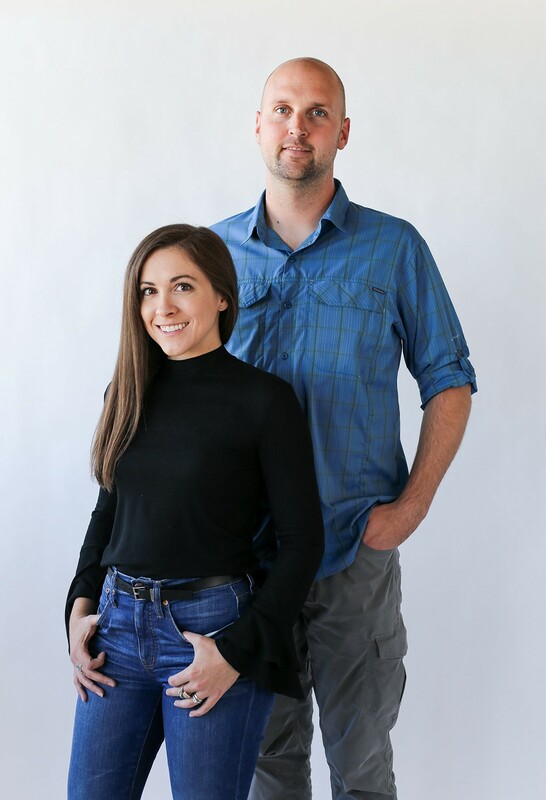 Helmed by Alana and her husband David, Green Dot Labs is driven by the idea that extracts are the purest expression of cannabis, a true reflection of the plant’s vivid taste profiles and myriad wellness benefits. Green Dot Labs’ award-winning product lines, including their recently released Black Label FSE live resin vape pens, are sold in medical and recreational dispensaries throughout Colorado, where they command a premium status and an obsessive following among the most discerning cannabis consumers. I was interested in the business of cannabis long before it was legal. I moved to Colorado the day after I graduated high school in New Jersey, and during my first opportunity to vote, as an 18-year-old new Colorado resident, marijuana was on the ballot. By the time I’d graduated college and moved to Boulder in 2008, cannabis had been decriminalized for adults and the state’s medical marijuana program was rapidly developing. My first job out of college was in nonprofit work, which was an amazing lens through which to learn about the world, but I learned quickly that the private sector and business world was much more my pace and appetite. When I met my (now) husband Dave, his passion and unmatched knowledge for the plant inspired my most viable, exciting, and leave-your-career-worthy business plan. With him as my partner and the support of my parents, we launched Green Dot Labs early 2014. This story is more interesting than funny. We had the odds stacked against us when we were in the pre-startup phase. We spent 18 months navigating permitting and licensure, and everything from natural disasters to national tragedies to the local bureaucracy of prairie dog protections stood in our way. As a demonstration of the inter-relatedness of everything, it’s worth sharing that the Sandy Hook tragedy was the first uncontrollable outside force that had an impact on our ability to obtain our business license. It occurred right at the time we submitted our business application to the city of Boulder, which required all controlling owners to go through FBI fingerprint checks. Because a lot of Americans feared impending anti-gun legislation, there was a rush to buys firearms after that tragic massacre. In the subsequent deluge of background checks, our fingerprint checks were held up for six months when they otherwise would have taken four weeks. Boulder also experienced a 500-year flood right as we were submitting our building permits to the city planning and development department. Since so many homeowners were impacted by the flood, their permits were rightfully prioritized over new business building permits. That caused another multi-month delay. Then, once local officials began reviewing the application, the application fell into a black hole that no one could explain for two final and excruciating months. We ultimately discovered the delay was due to a city review on all new business permits to ensure the businesses wouldn’t harm local prairie dog populations. Obviously we persisted, but I look back and find these stories so interesting in how these events informed us early on to the level of grit, endurance, cooperation, and faith required to be an entrepreneur. Our company stands out because we are a reputable and highly sought-after brand and are powered by our own raw materials and inputs. Since day one, we have developed our own genetic lines and today maintain what is likely the most extensive genetic library of any licensed cannabis business anywhere. We have developed advanced and proprietary indoor cultivation, extraction and refinement methods, which we use to deliver endlessly exciting, pure and flavorful cannabis extract that keep consumers on their toes every week. As the industry has matured, you generally see strong brands that purchase their cannabis from other businesses that are great at cultivating or manufacturing, or you see strong retailers that know the fundamentals of supply and demand and are great at running a retail operation. But I find it unique to be a highly reputable brand that has complete and total control over our raw materials, inputs, and operations. For us, it’s the only way we’re going to do business — but it required a lot of dedication and foresight to get here. My parents were our first investors. Since we didn’t have an extensive business background, and given the perceived risk of investing in cannabis especially in 2012, I don’t think we would have been able to launch the business when we did without them. And timing is everything in this industry. My parents also became our business mentors, plus they rolled up their sleeves to help with everything from license applications to fixing busted pipes that froze on a random Sunday. Their support and faith in us as operators and leaders got us through so much while developing and honing our abilities along the way. Right now we are working on creating a model for global partnerships and licensing opportunities, so that we can replicate the work we’ve accomplished in Colorado on a global scale. Soon enough, we hope to offer our products worldwide. What excites me most is how historic this is. I feel so lucky to have been born at just the right time to participate at the peak of my life and energy level in something that is so virtuous in my eyes, and so long overdue. The cannabis industry demands everything from those wanting to participate and I’m excited to be where I am in life and be able to give so much. I’m excited by the opportunity for people’s perceptions to change, and for people who’ve suffered from any number of diseases or ailments to have the opportunity to work with effective plant-based medicine rather than relying on limited and often harmful drugs that we are so often offered by our doctors and heavy-handed pharmaceutical companies. I am concerned that as we decriminalize and legalize cannabis, the speed of business development is outpacing efforts to address the devastation that has been wrought on individuals, families, and communities by wrongful prohibition-era policies. I wish that state governments would address these inconsistencies prior to issuing their first cannabis business licenses, and certainly prior to taking in cannabis business tax revenue, such as by freeing/pardoning people who are imprisoned or have convictions on their records due to cannabis, if not also providing reparations to them. I am also concerned about the towns and states that legalize cannabis but don’t offer education and awareness initiatives in order to allow the community to embrace the new industry in a collaborative and government-supported way. Towns often vote to allow cannabis businesses and the resulting tax revenue, but the industry is often still isolated from the greater community thanks to limits on event sponsorships and advertising. As a result, the cannabis industry remains largely taboo in these communities. Instead, parents need to hear from their government agencies on how to safely store and consume cannabis. Our local officials should let parents know how much money comes from these businesses in terms of tax revenue. That way, the cannabis industry isn’t just allowed, but also understood by the local community — and down the road, respected and embraced. 1. What you’re doing may be important, but you’re not entitled to anything, despite the time, blood, sweat, tears, or even the money you put into your venture. What you’re doing may be quasi-legal, but no one from licensing to enforcement owes you anything. You’ll need to prove through every single action and step you take that you are contributing to the greater community beyond your business. 2. Have a long-term plan, at least five to seven years out. There aren’t many opportunities for short-term returns. 3. If someone you know or learn about is doing work you truly believe in (in this industry or any other area of life), be willing to do whatever it takes to support them. You can learn something from any experience and broadening your understanding, perspective, and skill sets can be worth much more than a degree in this industry. 4. Collaborate and work with the regulators rather than fighting them. At this point in time, I believe change and progress will be made from within. 5. If you’re starting a business, be critical of yourself, play devil’s advocate, and ask yourself the tough questions. Make sure what you are bringing to the table is truly different than what’s already being offered. If your products or services are not differentiated, make sure that there is no chance for the supply of similar offerings to grow to a saturation point before you are able to enter the market. Things are happening quickly in this industry. My passion comes from being a small child who was told by her DARE officer and local “hero” police officer that cannabis kills, and then learning I was lied to a couple years later. It comes from trying to talk to adults about this plant for 18 years and having doors shut in my face. Nothing made sense and it didn’t feel just. It also comes from the children, elderly, veterans and more that it heals, and the individuals who fight and risk their freedom to heal themselves and their loved ones with a plant. I think our HQ and center for innovation and R&D will always be in Colorado, where we will continue to push the envelope and develop better ways to breed and grow cannabis and extract and preserve its essential oils (resin). We are also building programming to partner with national and global operators so I think we will see a lot more of what people have come to expect from us and on a greater scale and platform. Are you able to identify any rising stars at your company or in your industry that people need to keep an eye on? The partners on our board from Tuatara are doing great work in the investment and capital side of things. My husband and co-founder is a complete and total visionary creative whose understanding of the plant is unmatched, something that’s becoming more and more evident and understood as time goes on. As for our staff… I have a million and one reasons to keep quiet about them until we get our stock option plan in place! I think people are starting to pay attention to concentrates due to their growth in leading markets over the past couple of years. But within that sector I would say hydrocarbon extracts are still largely overlooked. From perspectives of both the production viability and purity of finished goods standpoint, I don’t think there’s a better method for extracting the pure essential oil of cannabis. We invite regulators from all over the country to tour our facilities and it is certainly the best way to understand what successful legalization looks like and how tightly regulated cannabis is in Colorado. We welcome any and every U.S. representative, especially those who are on the fence, see legalization as a threat to public safety, or still compare cannabis to harmful substances. I’d invite the President of the United States, so he can see firsthand the risk and burden small business owners bear for the benefit of our local and state economies. I’d also discuss with him how the heavy burden of taxes and lack of banking access are holding back what could be an amazing opportunity to support the growth of American manufacturing and the domestic economy.